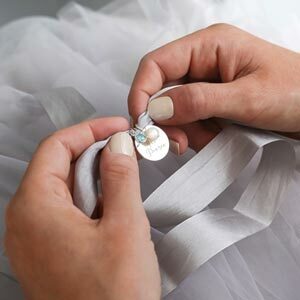 Liliana Personalised Halo Disc Bracelet features a stylish polished halo pendant with an initial disc that can be engraved with a script initial. A gorgeous initial disc charm surrounded by a delicate silver or rose gold halo on a delicate chain bracelet. Mix and match your metals by selecting the colour of each charm. Why not pair a rose gold halo with a classic silver disc. 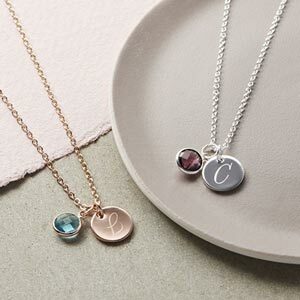 Add an initial of your choice which can be lovingly engraved in a stylish script font.